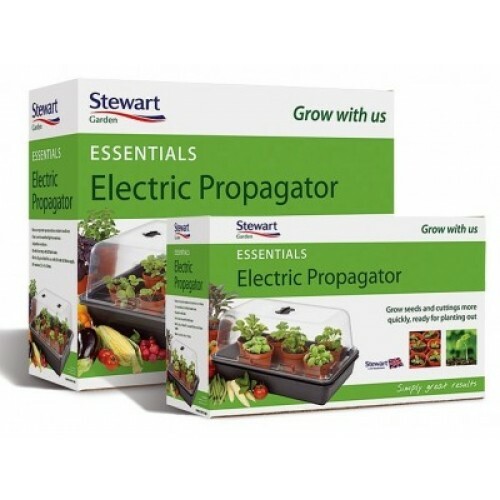 Stewart propagators will simplify raising your own plants and give you a small, nursery for your seedlings that will sit comfortably on an indoor table. The seedlings will grow in a light, temperature and heat controlled environment that will optimise their growing conditions. These little incubators come in two sizes with the smaller box, at 38 x 24.5 x 19.5cm, having and 8w heater and the larger box, at 52 x 42.5 x 28cm, having a 22w heater. The clear plastic domed top has adjustable slats for ventilation. There is a simple on/off switch for the heater. 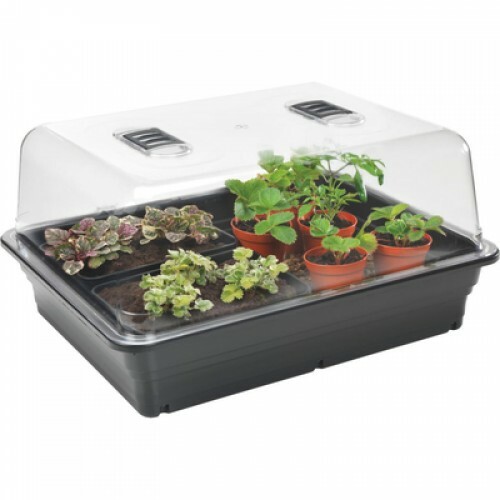 A portable propagator is the gardener’s best friend and gives seedlings and cuttings the best possible start to life. Once established the little plants can be moved to larger pots or into the garden.